Our Highlands of Scotland and the Isle of Skye walking tour of Scotland explores the Scottish Highlands on foot before heading for more hiking on Isle of Skye. For this walking tours in Scotland, you will need a hire car or your own car. Our hiking in the Scottish Highlands starts by heading to Fort William; the adventure capital of Scotland where you can hike for a few days. You will have the opportunity to hike up Ben Nevis, UK’s highest peak. If you didn’t want to tackle Ben Nevis, then we have various options of easier walks, so you can still enjoy hiking in the Scottish Highlands. We have many walking tours in Scotland which are self guided. However, walking the Scottish highlands is well worth the drive to see the spectacular scenery. This self driving tour of Scotland lets you explore at your own pace, which means you can relax and experience true Scotland. If you fly into Glasgow or Edinburgh airports pick up your rental car and start the scenic 3 hour drive to Fort William. Driving alongside Loch Lomond before heading over Rannoch Moor and Glencoe. Maybe stopping at Loch Leven and Glencoe (the home of the Glencoe massacre of 1692, when 38 members of the MacDonald clan were massacred). A few more miles and you shall arrive at Fort William. Today you can have a warm up walk up the River Nevis Valley – you will see the path which you may take tomorrow if you take the challenge up Ben Nevis. The route today is pretty easy but you do have some stream crossings and the ground can become wet and boggy in places. You have lovely valley scenes as you eventually join up with the last sections of the West Highland Way. Today is the big one, a challenge even for the most experienced hikers. You shall climb the UK’s highest peak Ben Nevis. Hiking up the valley, steep in places you eventually reach a T-junction where the climbing eases. Now a stony path you zigzag towards the top before the last gentle inclined to the summit. 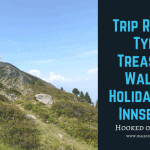 If this walk is to difficult then let us know and we can provide a few other walk options which are of the same difficult level as the other walks on the trip. Day 4 Ghost village of Peanmeanach 10.5km up 120m, ferry to Isle of Skye. Today a drive of around 30 minutes along the road to the Isles. This is a stunning drive passing mountains and lochs. Your walk takes you across the low hills with fabulous sea views across to Isle of Skye. You then drop down to Peanmeanach a small remote village on a secluded bay. In by gone years only access was by track or boat along the Loch. Now this truly is a ghost village. After your walk drive a little further north to Mallaig and across the ferry to Skye (last ferry 6pm). Now that you have enjoyed your Highland walking, you now head to island life. A drive of around 30 minutes onto Skye and towards the Elgol peninsular. You walk climbs gently towards the Black Mountains. As you reach the summit you see the “ Surprise View “ of Camasunery bay. Walk down to the bay and have lunch in the walkers bothy. Return the same way. When you get back to your car continue to Elgol and maybe take a wildlife and sea life cruise (extra expense). Day 6 Falls of Glomach 17.45km up 520m. This is your last Isle of Skye walking day. First there is a drive of around 10 minutes to the trail which leads to the Falls of Glomach; which at around 120m are Scotland’s highest waterfalls. Easy well marked trails take you over the mountain range to the far side to come out at the falls near its summit. Return the same way, maybe today you will also have some time to visit Dornie Castle. Now is your time to depart the Highland’s of Scotland and return to Edinburgh or Glasgow (allow 5-6 hours). You can also continue your holiday in the beautiful and remote Scottish Highlands. By plane to Edinburgh or Glasgow airports and then by rental car to Fort William.